The recent political protests in Romania have really got me thinking about the way that we elect leaders. In a matter of days a number of peaceful protests topple more and more politicians, beginning with the Prime Minister himself! Perhaps, it’s got me thinking, we should rethink the way that politicians are elected. We should make it more people-centred. How about a reality TV show? I know the idea sounds absurd – because it is! At least that is by current standards and expectations. Although so was electing a politician based on appearance. That was of course before television became a political tool. And now we live in a world where political hopefuls tweet their views with the aim of gaining election. 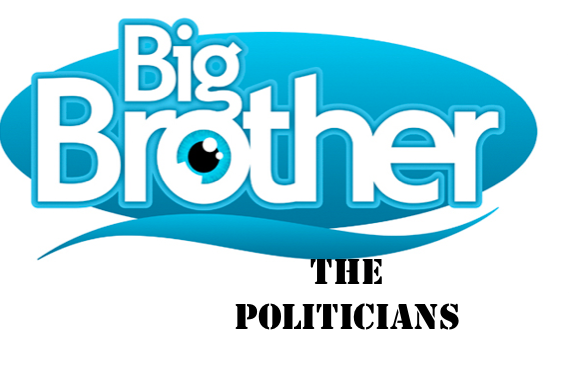 Is it really such a far cry to reduce the whole system to a political Big Brother? In our current political system politicians use the ability to verbalise their opinions on a constant and instant basis for political gain. That is even if their goals are conflicting with those they wish to represent. But what if these decisions were not made behind closed doors? What if the speeches and words were not carefully chosen by speechwriters? What if the richer and more politically fiercer candidates couldn’t buy airtime and influence? What about a political system where political hopefuls are placed in a house under surveillance 24/7 on the run up to the election? They are required to complete a series of hypothetical political challenges under the watchful eye of the public. They need to make decisions based on their own abilities, thereby ensuring that the decisions are theirs. The public votes them out one by one based on incompetence and a lack of ability. Surely it’s a system that would appeal to the disenfranchised youth and the consumer culture that dictates our world? Well it seems like an unrealistic proposal but at least it’ll make an interesting short film. It shall be, if nothing else, my next fiction project.